Lately, I have noticed situations between a salesperson and customer, in person, on the phone and by email, in which the salesperson has pointed the customer to the Internet for additional information. One business sent a customer to the Internet because they had failed to order enough sales flyers from the vendor so the customer was told to go look at the manufacturer’s website. Another, responding to a request for a price, was sent an email with a PDF describing the products and a link to a page online with way too many prices and not enough explanation. 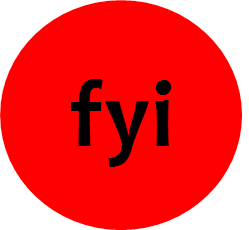 I am concerned for any business that is sending existing and potential customers to the Internet for further information because they are inadvertently steering the customer to do more business on the Internet. The message here to share with your staff is simple. Too often in our small businesses we forget that we do have advantages over the competition. We forget what has sustained us over the years and why people choose to do business with us. You can be "efficient", or you can make it “easy to move onto some other business” when you fail to use your advantages. 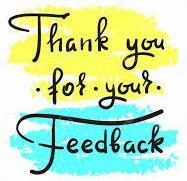 We appreciate everyone who took the Art Materials World post show Attendee and Exhibitor Surveys. The future of NAMTA’s Art Materials World is heavily influenced by what the attendees and exhibitors have to say about the event. 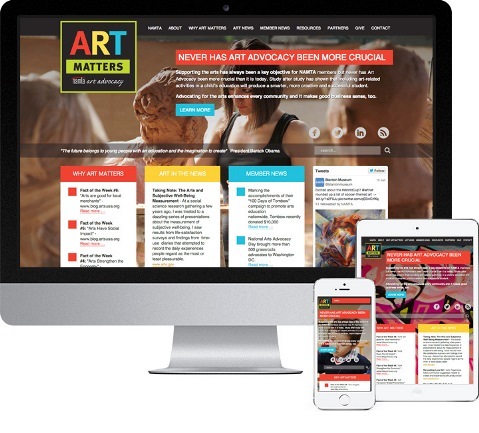 Find this story from edutopia.org and others like it at ART in US News on the NamtaArtAdvocacy website. It’s long been known that drawing something helps a person remember it. A new study shows that drawing is superior to activities such as reading or writing because it forces the person to process information in multiple ways: visually, kinesthetically, and semantically. Across a series of experiments, researchers found drawing information to be a powerful way to boost memory, increasing recall by nearly double. At the University of Waterloo, experts in the science of memory conducted experiments to better understand how activities such as writing, looking at pictures, listening to lectures, drawing, and visualizing images affect a student’s ability to remember information. In an early experiment, they asked undergraduate students to study lists of common terms - words like truck and pear - and then either write down or illustrate those words. Shortly afterward, participants recalled 20 percent of words they had written down, but more than twice as many - 45 percent - of the terms they had drawn. This experiment helped to establish the benefits of drawing. In a follow-up experiment, the researchers compared two methods of note-taking—writing words by hand versus drawing concepts - and found drawing to be “an effective and reliable encoding strategy, far superior to writing.” The researchers found that when the undergraduates visually represented science concepts like isotope and spore, their recall was nearly twice as good as when they wrote down definitions supplied by the lecturer. Importantly, the benefits of drawing were not dependent on the students’ level of artistic talent, suggesting that this strategy may work for all students, not just ones who are able to draw well. Across a total of eight experiments, the researchers confirmed drawing to be a “reliable, replicable means of boosting performance” - it provided a significant boost to students’ ability to remember what they were learning. Why is drawing such a powerful memory tool? The researchers explain that it “requires elaboration on the meaning of the term and translating the definition to a new form (a picture).” Unlike listening to a lecture or viewing an image - activities in which students passively absorb information - drawing is active. It forces students to grapple with what they’re learning and reconstruct it in a way that makes sense to them. At a neural level, the strength of a memory depends largely on how many connections are made to other memories. An isolated piece of information—such as a trivial fact—is soon forgotten in the brain’s constant effort to prune away unused knowledge. The opposite, however, is also true: The more synaptic connections a memory has, the more it resists eventually being forgotten. So when we draw, we encode the memory in a very rich way, layering together the visual memory of the image, the kinesthetic memory of our hand drawing the image, and the semantic memory that is invoked when we engage in meaning-making. In combination, this greatly increases the likelihood that the concept being drawn will later be recalled. 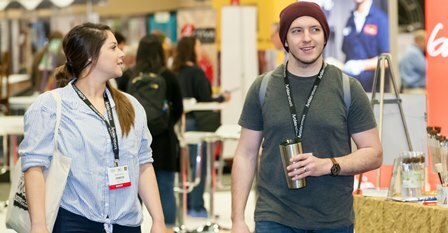 If you were at Art Materials World in San Antonio as a buyer, you probably met quite a few Namta Member Independent Sales Reps working in Exhibitor Booths. If you were exhibiting, you might have had some Sales Reps stop by your booth. You can find Namta's Independent Reps here to see who and where they represent. To follow up with a Sales Rep you met in San Antonio. or to contact a Sales Rep, you can log in to the Online Directory for contact information - or email Karen. "Try a thing you haven't done three times. And a third time to figure out whether you like it or not. " Quote from Virgil Thomson, 1896-1989, an American composer and critic, instrumental in the development of the "American Sound" in classical music. 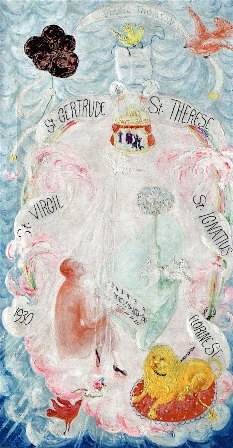 In the 1920s and 1930s, Florine Stettheimer painted imaginative portraits and representations of the life and world of celebrated members of the American avant-garde, including artists Marcel Duchamp and Elie Nadelman; novelist Carl van Vechten; and here the composer Virgil Thomson, who is perhaps best known for his opera Four Saints in Three Acts. First staged in 1934 with an all-black cast, the work featured a libretto by Gertrude Stein and striking cellophane sets and costumes by Stettheimer, which achieved instant notoriety. List your available jobs with this form. Links to your listing will reside on Namta.org, open to the public, on https://www.namta.org/available-jobs-positions. 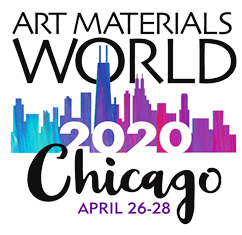 2020 will bring Namta Members back to Chicago's Navy Pier for Art Materials World. 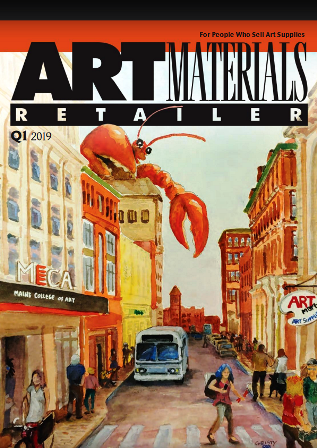 Exhibitors can reserve 2020 Art Materials World booths today. Contact Rick Munisteri with questions. Namta finds great business articles all over the Internet. Here are a few that might be of interest to you, your staff, or your co-workers. Only half of American small businesses survive the first five years, and only a quarter make more than $1 million in sales. Many small business owners find themselves busily running around, attempting to act as accountant, sales rep, and social media manager, in addition to being CEO. Are you spreading yourself too thin to see the big picture? It’s OK to delegate. Owning a small business can mean a lot of personal sacrifice. Nearly half of small business owners use their personal savings to pay for business expenses, and nearly as many invest every dime of extra cash back into the business. Only 17% use extra cash for retirement savings and even fewer invest it for themselves or their family. The sacrifice doesn’t stop with money either. More than 80% of small business owners work weekends, and more than half work major holidays. 60% take just one vacation each year, and three-quarters spend that their time off tied to their laptops, working. Devoting time and money to your business is important to the success of your business, but being overworked, stressed, and losing sanity is not. Whether you’re sacrificing your time with long hours, and no holidays, or skipping paychecks to float the business. Sacrificing too much will leave you stressed out, exhausted, and unable to make the best decisions for the future of your business. Making choices takes effort, even when those choices are small. The more decisions you make, the harder each choice becomes. And when our decision-making powers are pushed to the their limits, our choices will often become reactive instead of proactive. Paralyzed Overthinker: Do you avoid making choices until you’re forced to face them? Or think endlessly about the choices available until time runs out? Overwhelmed Hothead: Are you easily frustrated when faced with a decision? Do you argue over simple decisions? Immediate-Satisfaction Seekers: Do you make decisions impulsively? Are your choices sometimes illogical? Do you favor short-term solutions? Decision fatigue robs you of the ability to see the big picture. You’ll end up making choices that are easier or faster in the moment, but mean more work later on. If you feel like you’re always fighting fires, and never get the chance to make long-term goals, you’re seeing the effects of decision fatigue. There’s an easy way to cut down on your personal sacrifices and reduce decision fatigue: learn how to delegate. Studies show that CEO who delegate well generate 33% more revenue than those with low delegation skills. Instead of wasting your brain-power handwriting paychecks or managing office supplies, conserve your efforts for the big decisions and form a trusted staff to help with the rests. Studies show that people with the best self-control conserve their decision-making for emergencies and important decisions. Everything else comes down to structured days and procedures that allow you to make decisions once, and reuse them for completion of routine tasks and operations. Having the right team is important if you’re going to delegate successfully. While many small businesses struggle to hire and keep employees, there are options available to suit your needs. Consider how much work you have available, and what skills you need for your team. You might be better off investing in full or part time employees. If your business is seasonal, or can’t cover the cost of benefits, contract workers could be a better choice. Contract workers will save you the cost of paying benefits or training employees, as they generally already have the skills you need. But there’s no guarantee your flex staff will available when you need them. The art of delegation starts with picking the right tasks to delegate. Your goal is to rely on the expertise of others, and to eliminate tasks that don’t require your own expertise or input. Day to day tasks and decision don’t need your constant input, so step back and let someone else take the reigns ― you’ll have more time to focus on the big picture and moving your business forward. Don’t have great accounting skills? No problem! Find someone who does who you can rely on to get things done right, and probably in less time than it would take you to do it yourself. Spending too much time performing organization tasks like data entry or filing? Maybe it’s time to hire a secretary or some part-time office help. When you start delegating tasks, it’s important to keep a few things in mind. You should always consider your employees’ skills and whether they are matched to the tasks at hand. You shouldn’t expect a social media manager to suddenly take over your accounting. If you don’t have any employees with the right skills, you might need to hire some new talent. Another important consideration when delegating tasks is to keep in mind how much time your employees have available. Delegating tasks to employees who are already struggling to get their work done, or staying late every night is sure to add to their stress level and may cause you lose a dedicated employee. When your employees do have the time and skills to take on new task, it’s important to acknowledge their efforts. After all, you’re asking them accept more responsibility for the same job, and little gratitude can go a long way. Acknowledge a job well done, and offer constructive feedback when necessary ㅡ there will doubtless be growing pains along the way. Successful delegation requires your business operations to run smoothly and consistently. You can only delegate in a company if every decision doesn’t hinge on a single person’s know-how. Once you create the policies and procedure to achieve smooth operations, you’ll be able to delegate successfully and proactively approach problems. Your business will need an operations or training manual that defines how things are done. Having a manual ensures everyone is on the same page and employees know how to operate the business, even the owner isn’t there. Your company’s training materials should include a comprehensive overview of operations, and instructions for following common procedures. You should outline the policies that employees are expected to follow and what do when a problem arises that isn’t in the manual. Provide a copy of the manual to every employee, and open yourself to suggestions for clarification or revisions. 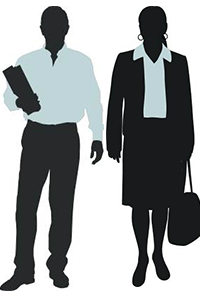 With the right procedures in place, you can free up time for yourself and all your employees. Instead of starting every project proposal from scratch, create a form or outline you can use to start, and include common needed information, like a description of your business in the form. Similarly, creating form letter to respond to common client queries is great way to save everyone time. There’s no shame in asking for help, in fact 58% of small business owners would advise new owners not to fear asking for help. Do I Need a Business Credit Card If I'm Self-Employed? 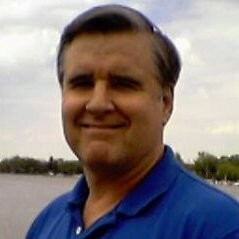 Congratulations to Jim O'Brien from Savoir-Faire for recently becoming National Key Account Manager. Contact information for these members can be found in the Online Directory, or contact Karen. Welcome to RedFox Artist in Phoenix, Arizona who are getting organized to be a retailer of fine art supplies, offering classes to educate artists in Fine Art Mediums, Marketing, and Selling their Art. Opening date to be determined. 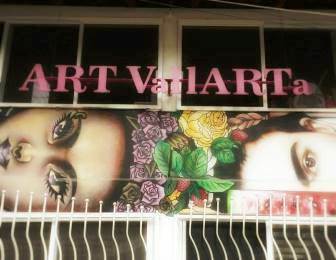 Located in Puerto Vallarta, Mexico, Art VallARTa is a cooperative environment for a community of artists of all levels to work at that own schedule on their projects. 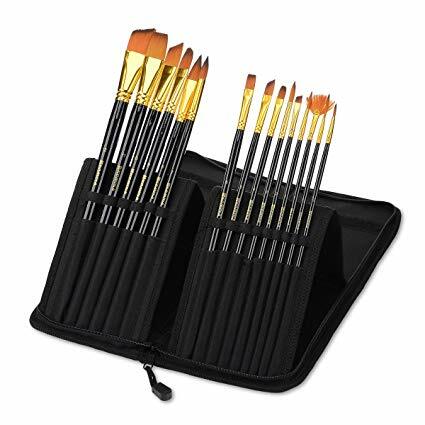 Art Supplies for sale include Canvases, Paints, Drawing, Clay and Multimedia art supplies from local and international suppliers.